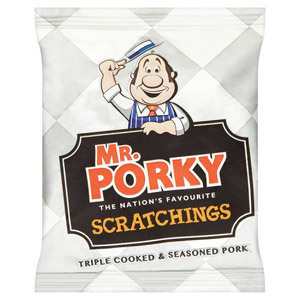 If you are on the hunt for a meaty snack, then look no further! We stock all manner of meaty treats, from Peperami to pork scratchings, as well as the much-loved American classic that is beef jerky. Peperami is one of the most popular meaty treats you can get in the UK. Simplicity is what it's all about - you can open and devour one of these snacks straight from the packet in a matter of seconds. If you prefer the true taste of the American West, our selection of beef jerky will appeal to you. Naturally we stock the classic Wild West Beef Jerky, but jerky connoisseurs may want to check out our Honey BBQ Jerky, or sample our Hot N Spicy Jerky. In addition to these meat-heavy options, we also offer a delicious pate for those with a more discerning palate. 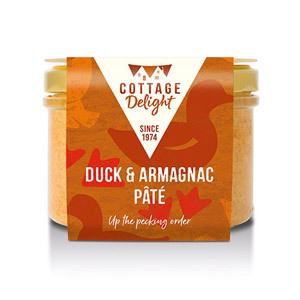 A tin of our Cottage Delight Wild Boar Pate adds the perfect touch to any ploughman's, and also tastes great on a simple slice of toast.